Today, we’re chatting with Rena Newman, a young writer who has created the journal version of NaNoWriMo (National Novel Writing Month) – NoBoPro. 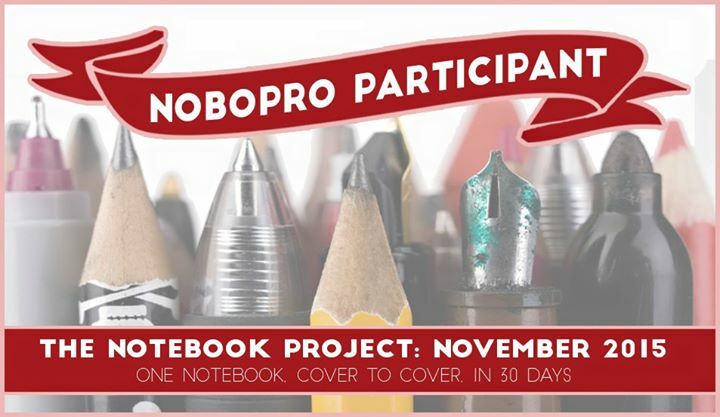 For more information on how you can get involved with the Notebook Project, check out NoBoPro on Facebook. I’m Rena Newman, a young writer living north of Chicago and creator of the Notebook Project (or “NoBoPro” for short). I’m crazy passionate about art, education and experience through writing and speaking. Often, my life revolves around getting people together to chat – potlucks, conversation groups, write-ins, all of these being opportunities for communion. Especially in this day and age, where people are so concerned by their social media and phones, chances for eye contact and connection are so important. Just as well, I believe in the power of the pen – a chance for solitude and reflection. I’m always trying to encourage people to write. 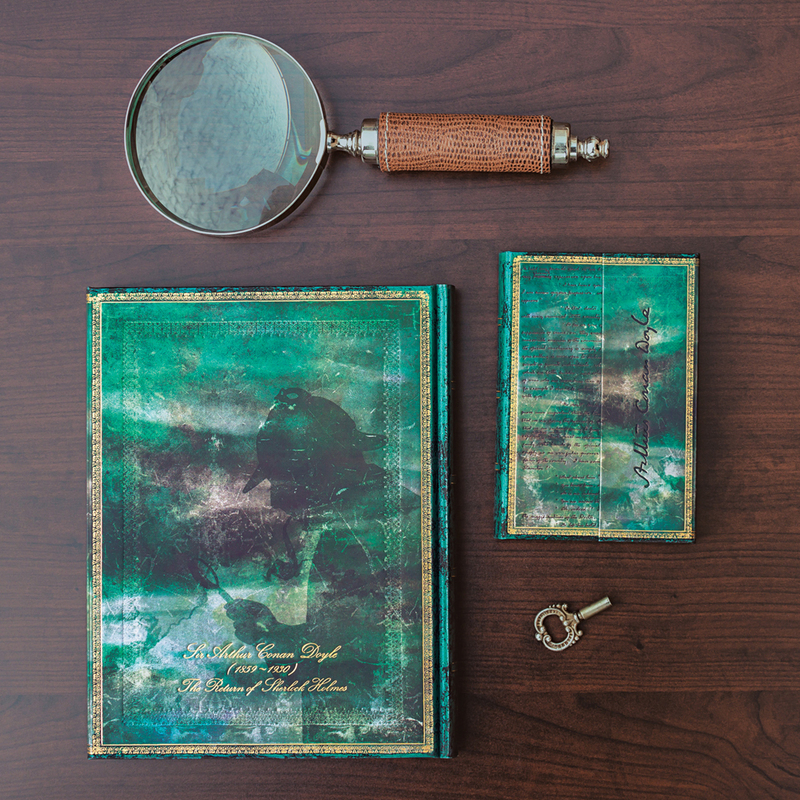 2) How did the Notebook Project come about? Since middle school I’ve been keeping journals. 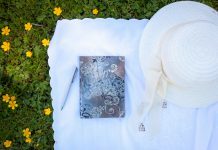 Not “dear diary” journals, but “anything” journals – I’d write fiction, poetry, quotes, fragments, ideas, whatever mess found its way into my mind. For the past five years I’ve participated in NaNoWriMo, and though I’ve been successful in meeting the 50,000 word goal each year, this year my life was too overwhelming to attempt a novel. Instead, I thought of an alternative: fill a notebook, cover to cover, in 30 days instead. It’s a choose-your-own-challenge project (any size notebook, any shape) and for this year it seems more approachable than another bout of NaNo. 3) The name NoBoPro is clearly similar to NaNoWriMo – can we assume this is no coincidence? No coincidence at all! As I said, for five years I participated in the wonderful writing whirlwind known as NaNoWriMo, and while I enjoyed every word-packed day from Novembers past, I found that sitting in front of a screen was particularly difficult, and this year my life has grown too intense to plan a novel. I also find that the novel is not my ideal authorial style, but I didn’t want to forfeit the creativity of November. So I created NoBoPro as an opportunity to explore all kinds of styles. Plus, what could be more portable and convenient than a notebook? 4) How quickly did things come together once you decided you wanted to make NoBoPro happen? At first I thought I’d just keep it to a small Facebook group of my friends – but after some encouragement from that same collection of young writers, they convinced me to share it with the world. I set up a Facebook page, which you can visit at facebook.com/NoBoPro, as well as on Twitter, Tumblr, and Reddit. From there, I’ve just been trying to spread the word so that anyone who’d want to participate knows that it exists. 5) What has the response been like from your friends, family and community? It’s been overwhelming! 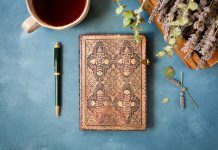 I’ve got a community of 40 other local writers keeping notebooks right alongside me, as well as a growing Facebook community. At my school, many teachers have jumped onboard and are telling their classes about my project. People really do seem to like it. Some of my peers have stepped up and are helping me with publicity. 6) How can people around the world get involved? Follow and like the Facebook page, grab a notebook and get writing in November! The only goal is to fill it from cover to cover in 30 days. You choose what to fill it with – poetry, fiction, prose, fragments, quotes, lists, plays, diaries, typography, doodles, anything. 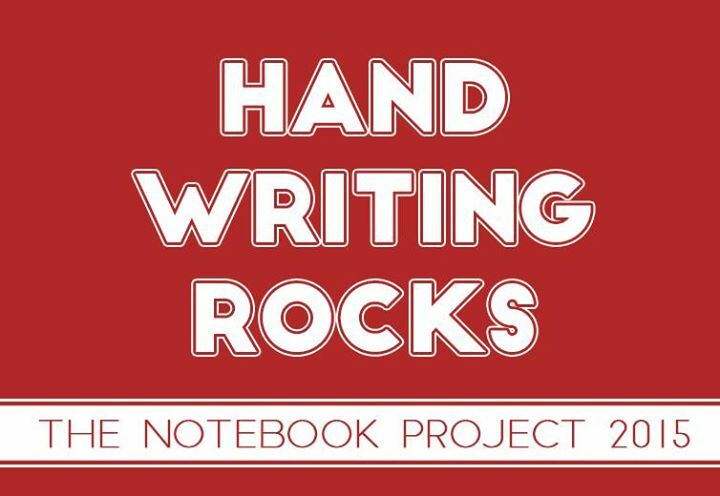 Share your progress with other participants on our Tumblr community (http://nobopro.tumblr.com/) or our Reddit community (https://www.reddit.com/r/thenotebookproject). 7) What happens at the end of November? Is there a winner? Winning in NoBo is like winning in NaNo – anyone can win just as long as they fill their chosen notebook entirely by the end of November. At the end of November, we’ll be encouraging people to post writings and pictures of what they did to fill their pages. I’m considering making stickers, or maybe even T-shirts. 8) Has anyone, or anything, in particular inspired this project? Just a deep passion for writing and particularly, handwriting. With everyone turning to laptops instead of pens, I think that there’s an art being lost. 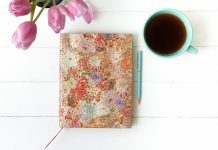 I find it important to encourage people to keep notebooks, to sit down in quiet spaces without screens, and have that space to pour themselves onto the page. I know that it’s what keeps me alive, and I hope NoBoPro can give people the opportunity to try it for themselves. 9) Will you be participating, too? Any plans for what you are going to write about? I’m absolutely participating! I’ll be writing in a Leuchtturm1917 Softcover 121-page notebook (I’m a total notebook geek). 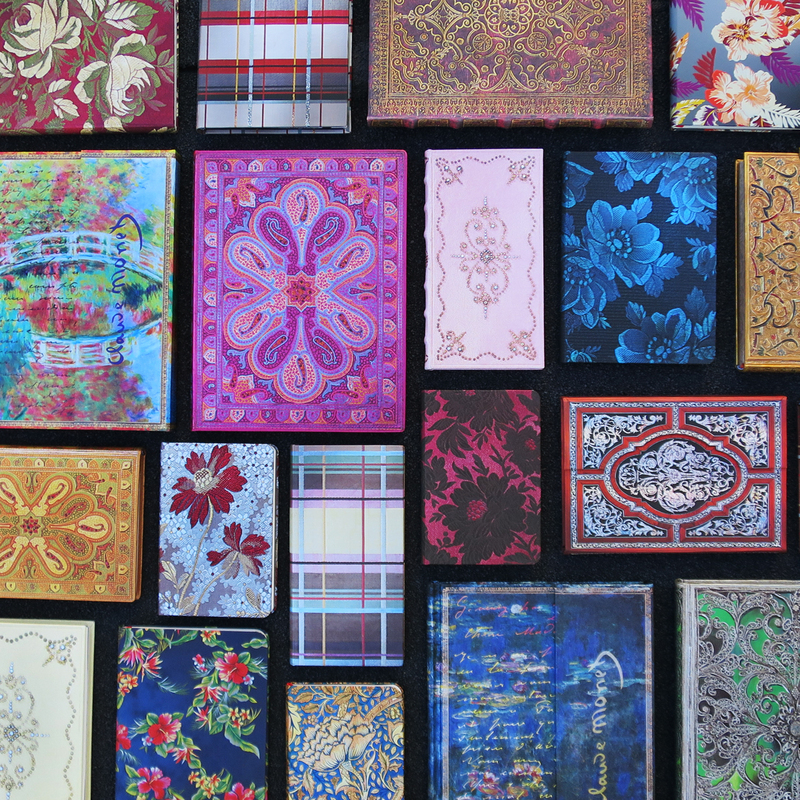 I know a bunch of my friends are choosing the beautiful Paperblanks® for themselves. I’m going to try writing some new things – doing spontaneous writing exercises, free writes, short plays, very brief biographies. I want to try to write down everything that comes into my head and wants to be recorded – often I’ll have thoughts while I’m walking that I’d like to write down, but I don’t (due to laziness). I’m going to see what a month without writerly laziness would look like. 10) Any advice you would like to share with aspiring writers? Being a young aspiring writer myself, the only advice I can give is to try new styles, read anything and everything, and put the pen to paper at least once a day. If you want that extra push, join the great project: NoBoPro is coming up soon! Come along for the journey.